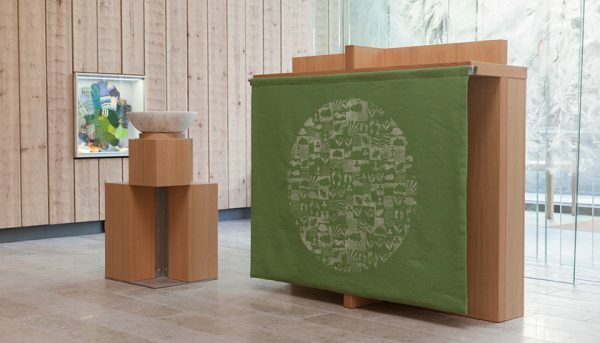 The new liturgical textiles of the New Children’s Hospital in Helsinki convey solace and comfort to the users of the chapel. 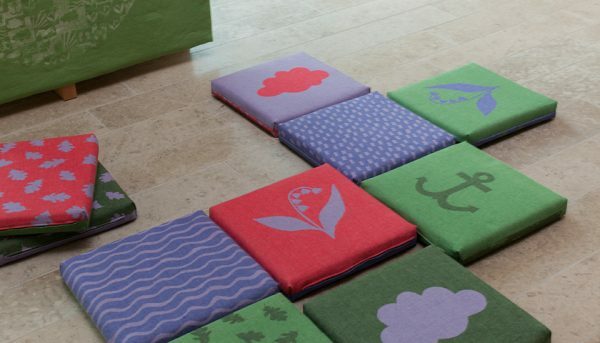 When designing the textiles, special consideration was given to their child users. The collection of textiles was a master’s thesis in the Aalto University School of Arts, Design and Architecture and it was woven by Lapuan Kankurit. Combining age-old tradition with new influences, the collection represents a modern-day liturgical textile. 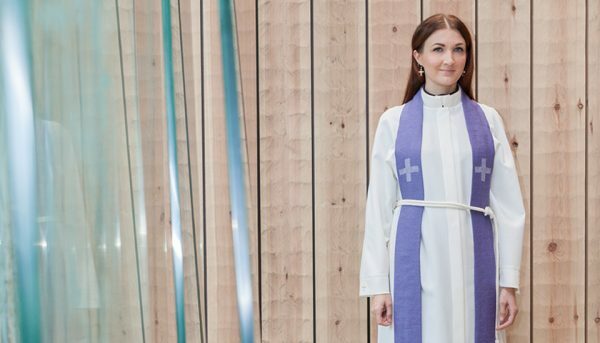 The New Children’s Hospital Chapel in Helsinki received new liturgical textiles designed by Terhi Laine, a master student at Aalto University School of Arts, Design and Architecture. The design and execution of the textiles was the subject of her master’s thesis. Thesis advisers were professor Maarit Salolainen and textile artist Katri Haahti. 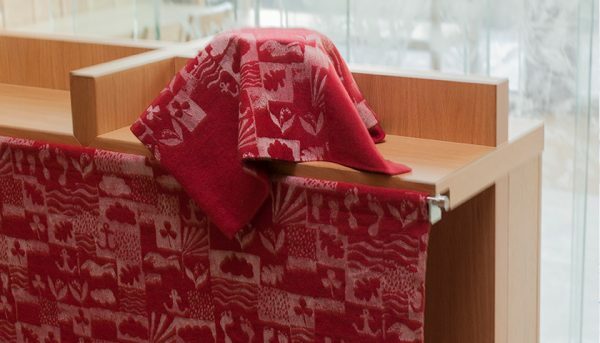 The textiles were woven at Lapuan Kankurit, a company that wanted to support the New Children’s Hospital. The chapel will be consecrated on December 6th. The key concept of the design was comfort. The collection aims to convey solace and comfort, be welcoming as well as delightful and bring colour to the lives of the little patients, their families and the hospital personnel. The collection is based on a repeat pattern named ”By your side” which consists of several different motifs. The motifs are related to the concept of comfort and Finnish nature, and they also contain a deeper symbolic meaning. Users can pick the motifs and messages they find comforting at that particular moment. The designer took into account the chapel’s diverse range of users, especially children. ”One of the main goals of the work was to emphasize a child’s perspective in the space. Children will surely see and experience the textiles differently than their parents”, explains Laine. Designing the textiles was challenging given the exceptional group of users of the chapel. Moreover, the chapel space is also used in secular purposes. A third challenges was combining the designer’s own visual expression with the traditional liturgical textile art form. The Evangelical Lutheran Church of Finland, who commissioned the work, specifically sought out to find a young designer who could bring fresh ideas to the ancient art form. ”Traditionally, liturgical textiles have had certain tone and style, and they haven’t always been designed with the most modern touch. Laine’s collection of textiles succeeds in not only renewing the entire art form but also conveying comfort by using themes found in nature”, states Virpi Sipola, a Leader Advisor in Pastoral Counseling from the Evangelical Lutheran Church of Finland. The final collection consists of an antependium, a pall (chalice veil) and a stole, all three in four liturgical colours, a funeral pall in three sizes and ten floor cushions for children.